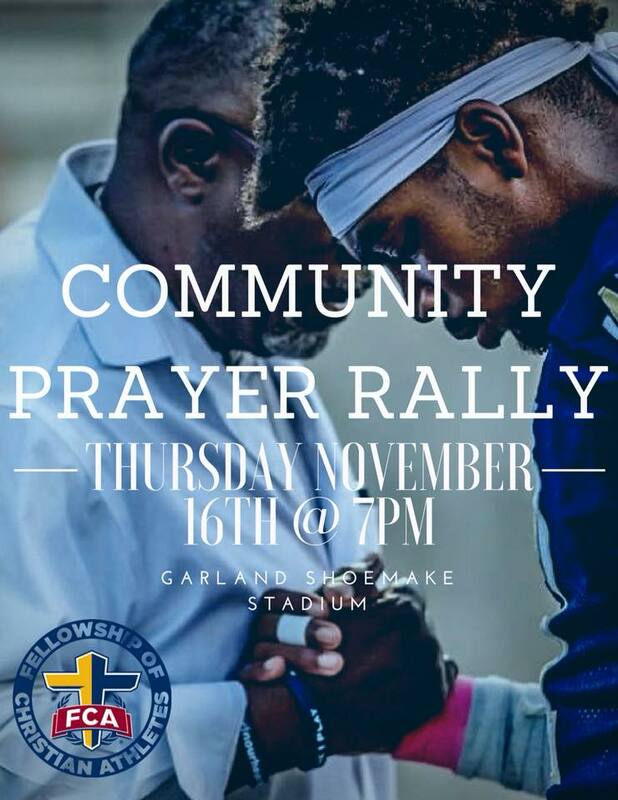 Earlier this month, a high school in our county found themselves in the center of a controversy involving a coach praying with players at a football game. A group from Wisconsin called the Freedom from Religious Freedom contacted Coweta schools noting this was a violation of the First Amendment, and our superintendent sought legal counsel. The following statement was released by the school board attorney: “Representatives of the school cannot participate in any student-initiated or student-led prayer or other worship while acting in their official capacity. For instance, they cannot join hands, bow their heads, take a knee or commit another act that otherwise manifests approval with the students’ religious experience. District employees should play no role in endorsing religion. They should only provide a ‘supervisory or custodial role . . .’” Many parents, students, employees, and citizens of our community were upset, feeling their Christian values were under attack and many have openly disagreed with the county’s position. This decision centered on two areas of my life where I am both passionate and outspoken: faith and public schools. My husband was a pastor for 26 years (17 in Coweta County), and I have discipled and invested spiritually in young people during that time. We have deep spiritual roots here. For the last 10 years, I have also thrown myself wholeheartedly into teaching and not just teaching students how to read and write but teaching them to be better people. I have been an active proponent of students and public education in our county and state. The line between my faith and work blur at times because my faith nor job are tied to specific hours on the clock; intertwined thoughts on both of these are on my mind throughout the entire day. Here are some thoughts I have about what has been happening in our county. For those who don’t know me, tact is not my strong suit; consider yourself warned. 1 – Legally, I think the decision made by Coweta county is the right one. As a school employee, I am on the clock and am not paid to pray with students. If a parent wants their children to be in an environment where teachers and coaches pray with students, private – not public – education may be a better choice. I can see how even if a prayer is student-led and voluntary, a student may inadvertently feel pressure to pray if a coach is participating in the prayer; students – especially those participating in extracurricular activities – want to please those in charge and be seen as a team player. Regardless of my or your opinion, our school officials have made a decision based on their knowledge of the law, and believers, as commanded in Scripture, obey those in authority over us. 2- This ruling in no way changes my prayer life or the fact that I can pray for my students and even pray with them when I am not “acting in (my) supervisory or custodial role.” If my prayer life were measured by the number of minutes that I bow my head and say a formal prayer, it would be a small percentage of the day. I am up early today (Monday) finishing up this blog after reading the Word and spending some formal time in prayer; however, Ephesians 6:8 and 1st Thessalonians 5:16 encourage believers to pray at all times in the Spirit which I hope would describe my thought life during the day – an attitude of prayer asking God for wisdom with the 5,000 decisions I make on a daily basis and interceding for students and colleagues who are in need. In addition, I can – and do – spend time outside of work investing in the spiritual lives of students, and this decision in no way keeps me from this. 3 – Here are a few questions I have for people who have been speaking out about this so adamantly on social media. How much time do you spend on a daily basis praying for or investing spiritually in students? Do you spend as much time praying for our educators, students, and schools as you do on social media? Would you feel any differently about this issue if it were about a person of a different faith praying with students? Do I live my life in a way that even if colleagues or students never see me bow my head in prayer, they know that I am a person of faith? 4 – I ask these questions not only to you but to myself because I find that’s it’s often easier for a believer to talk about how we may be wronged instead of being proactive in how we live our lives of faith. I often come back to Galatians 5:22 – 23: “But the fruit of the Spirit is love, joy, peace, patience, kindness, goodness, faithfulness, gentleness, and self-control. Against such things, there is no law.” Love people. Be joyful. Act in peace. Be patient with others. Be patient with other (I need this part twice). Show kindness. Do good. Pray faithfully. Treat others gently. Live with self-control. In doing these things, you break no laws. I don’t at all discount the impact of a praying coach but would love to see what would happen if a whole community regularly prayed for and loved on students. Susan, thank you for e pressing this so clearly! Thank you, Susan. I’m a new pastor in Coweta County. One of my church members shared this with me. It’s outstanding. Thank you for your leadership in our community.